We've updated the Spotify playlist with 30 new songs. A LOT of new bands with new tunes! 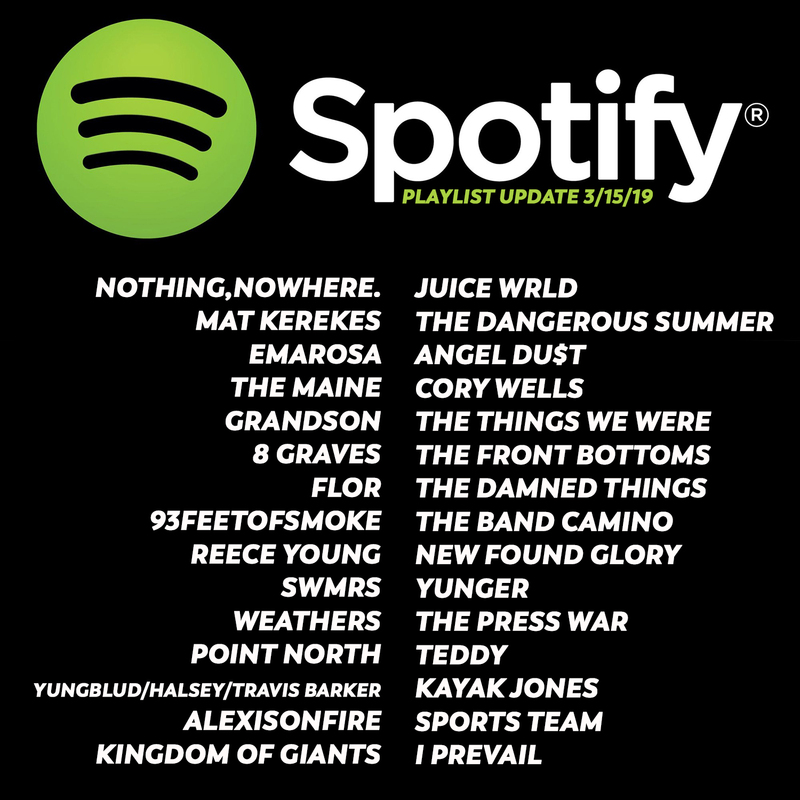 Songs from nothing, nowhere., Mat Kerekes, Grandson, The Maine, New Found Glory, The Front Bottoms, Juice Wrld, SWMRS, Alexisonfire, Flor and more! 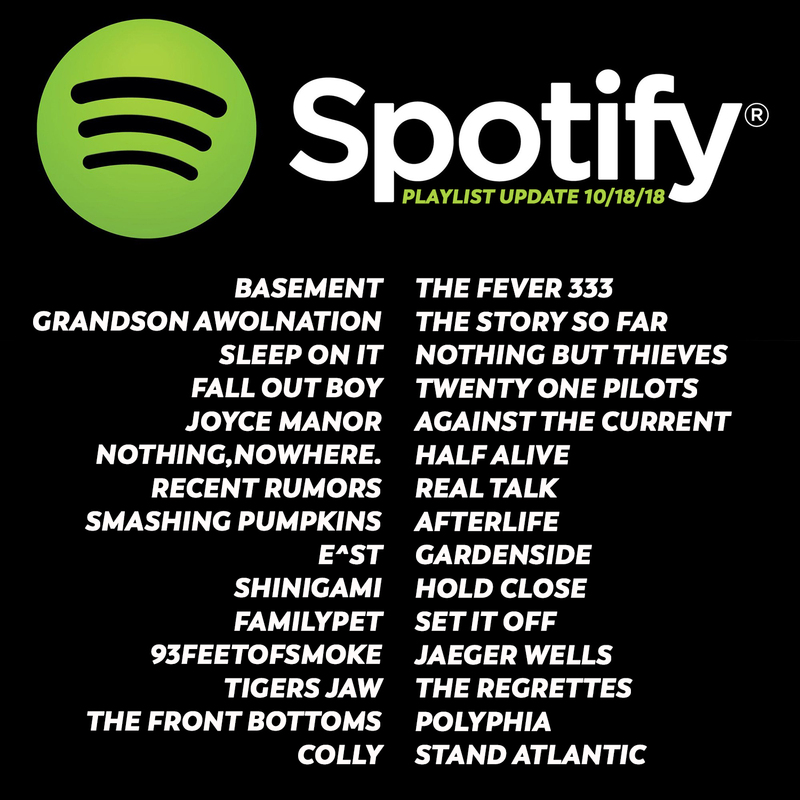 We've updated the Spotify playlist with 30 new songs. A LOT of new bands with new tunes! 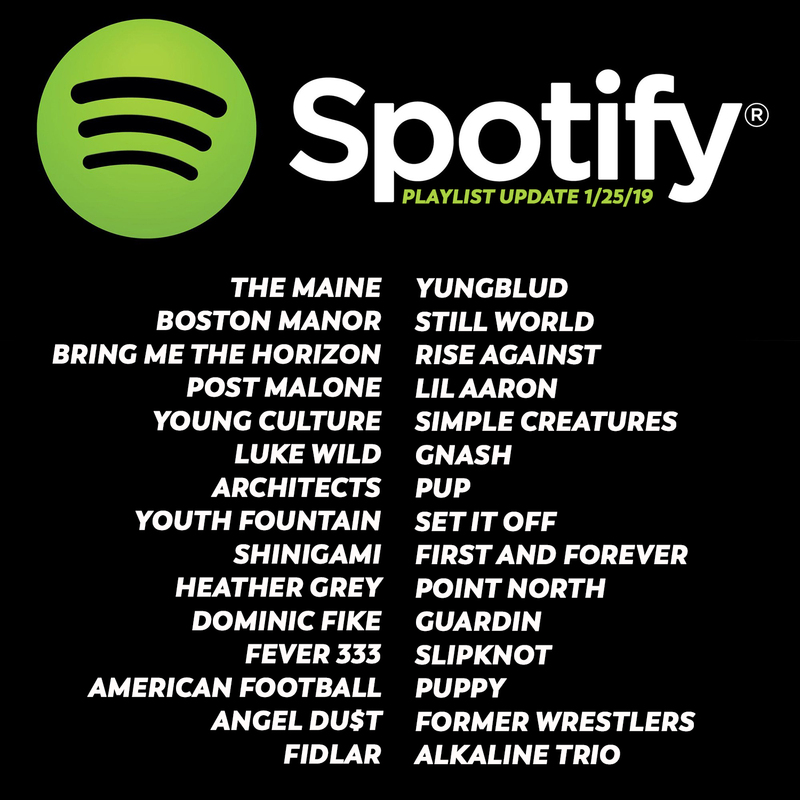 Songs from The Maine, Boston Manor, Bring Me The Horizon, Fever 333, American Football, Angel Du$t, Yungblud, Simple Creatures, Pup, Gnash and more! 2018 was a hell of a year for new music. 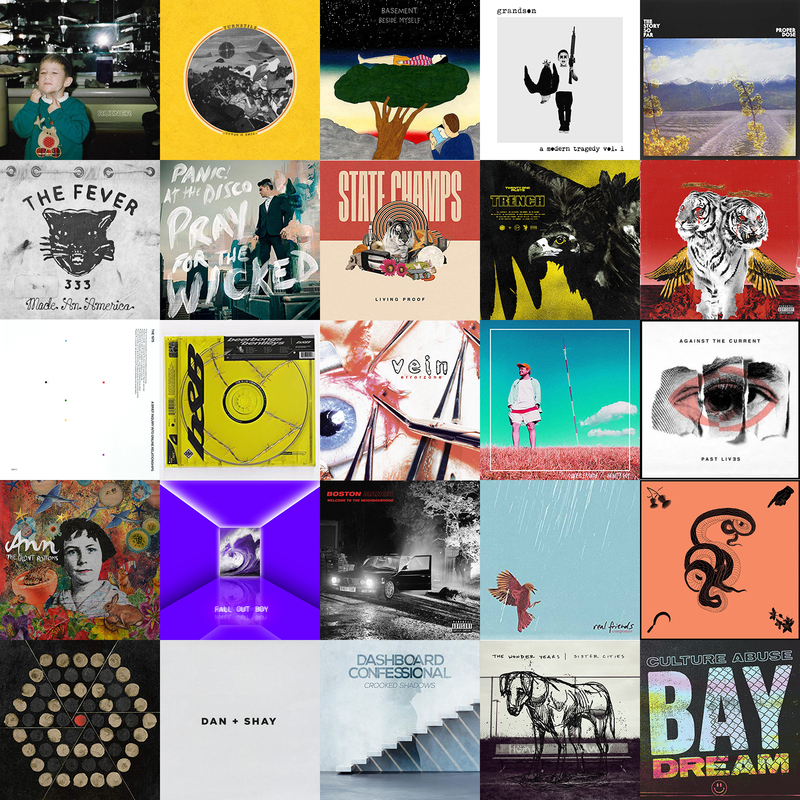 Here are the 25 records we listened to the most throughout the year in no particular order. We put our favorites from each record in a playlist. - http://spoti.fi/2kWDnA9 - We update it weekly with 30 new songs every week so subscribe if you dig! 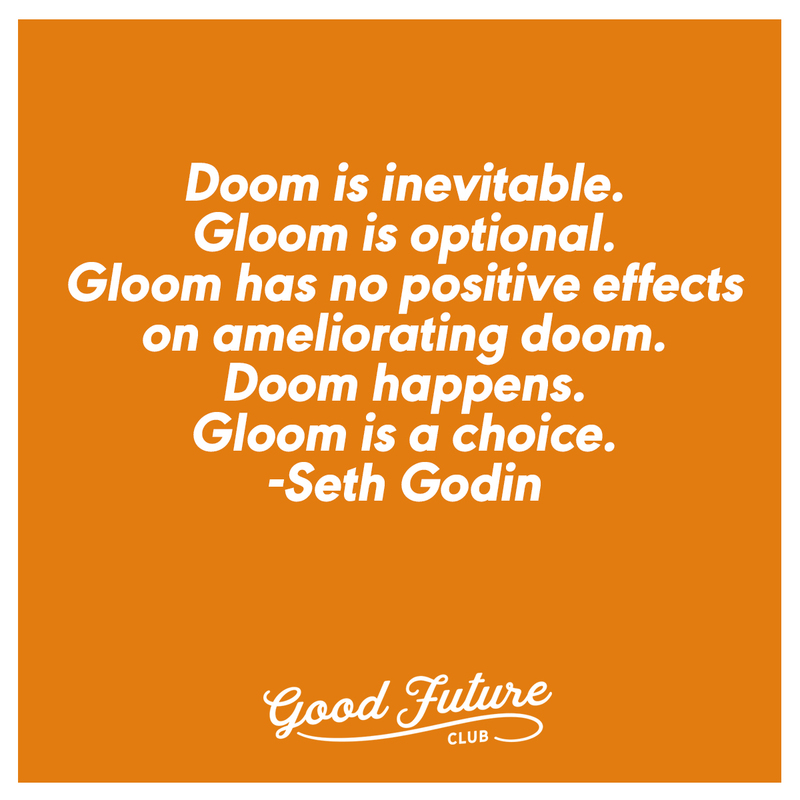 There's this incredibly smart guy named Seth Godin that inspires the hell out of me. He's written great books that challenge the status quo on what life is supposed to mean and has always had a way of simplifying actionable ways to be happier. Beyond his books, he sends out a daily email with thoughts, quotes, stories that are always thought provoking. Back in October, I opened my inbox when I woke up and his email was titled "Gloom (and doom)". Felt rather dark but upon opening it and reading it, it was a nice short reminder that there will always be negative situations but it's up to us to make sure they don't linger. I continually go back to this thought whenever something goes wrong and I've found it to be a profound help to fix an issue and move on. I'm hoping by posting this that it'll do the same for you. We've updated the Spotify playlist with 30 new songs. A LOT of new bands with new tunes! Songs from Nothing Nowhere, Flor, Picturesque, Capsize, High Wire, Beartooth, Twenty One Pilots, Polyphia, Set It Off and more! 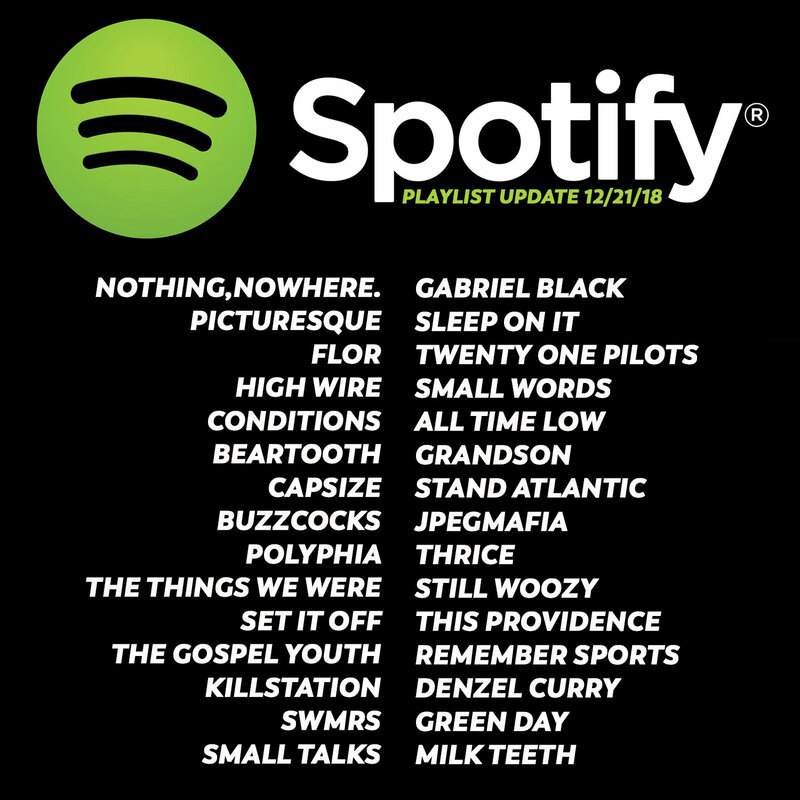 We've updated the Spotify playlist with 30 new songs. A LOT of new bands with new tunes! 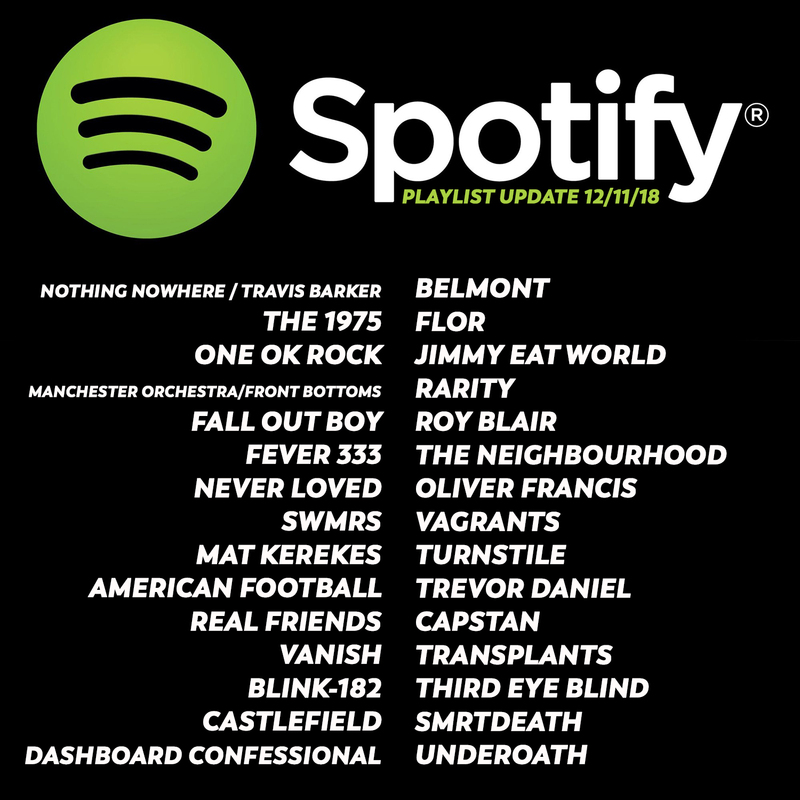 Songs from Nothing Nowhere Travis Barker remix, the 1975, One Ok Rock, Manchester Orchestra/Front Bottoms, Never Loved, SWMRS, Mat Kerekes, American Football, Vanish, Castlefield, Belmont, Capstan and more! Saturday listening. Picking a favorite song off this album is literally impossible. For the majority of its life, it’s been “Tell That Mick...” for me just because I have incredible memories to them opening every show that era with it and watching the crowd explode into sing a long. In NJ in 2013 at Skate and Surf fest, the promoters made a big mistake by putting @falloutboy on the middle stage and there were near riots during this opener. And you couldn’t hear a single word Patrick tried to sing because the crowd was so loud. To this day, I search for the video because it was coolest thing I’ve seen from friends at the time. However there is footage from that day behind the scenes in the Dead On Arrival video. 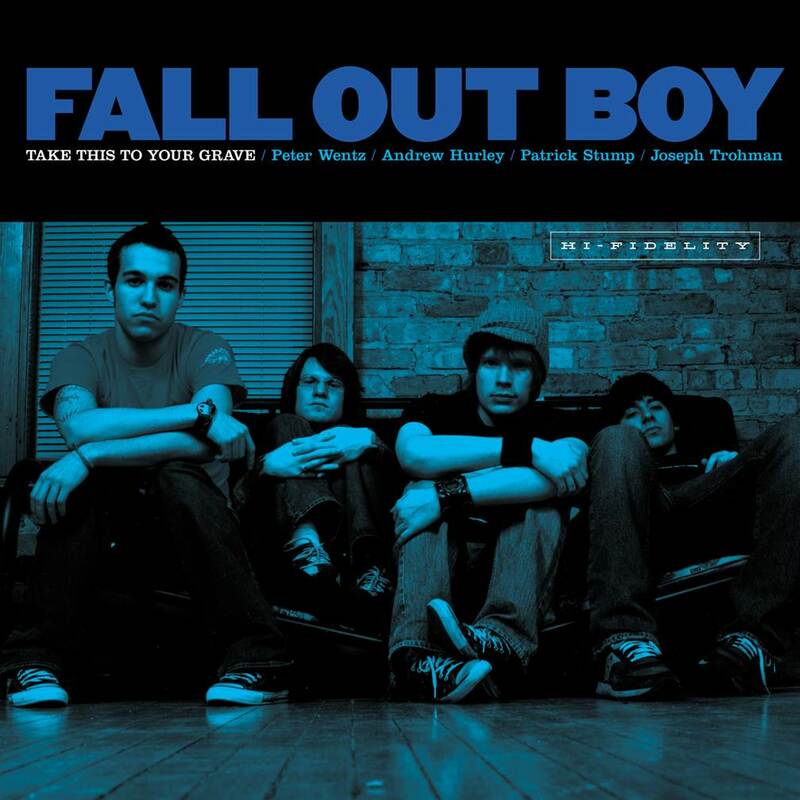 Long live the Fall Out Boys. GO GO GO! 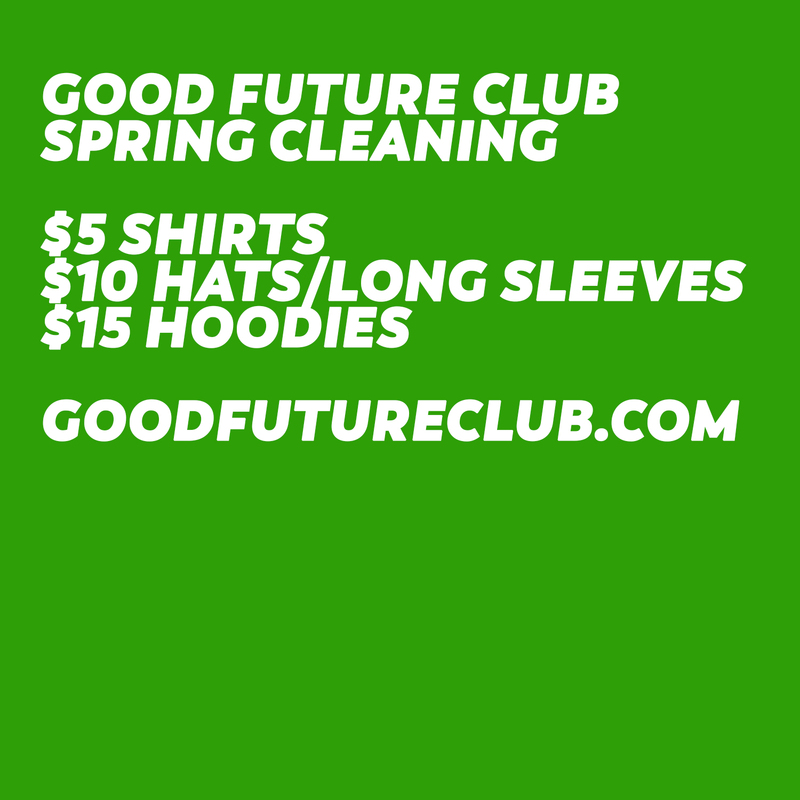 We dropped the prices on EVERYTHING plus put up a new long sleeve and beanie (also discounted). We hope your holiday has been as great as ours! Thanks for the support as always. We've updated the Spotify playlist with 30 new songs. A LOT of new bands with new tunes! 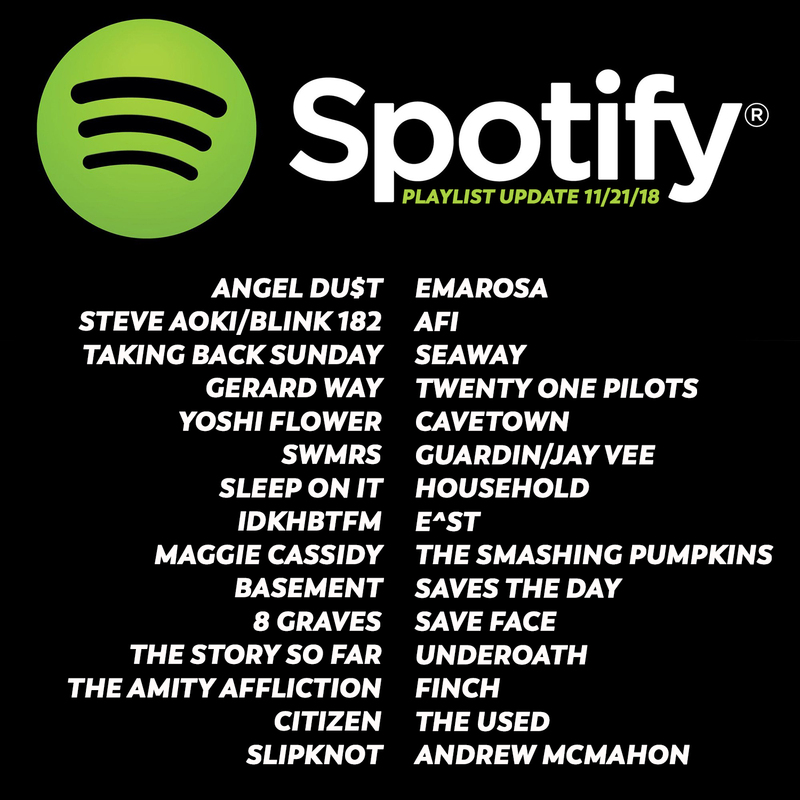 Songs from Gerard Way, Blink 182, SWMRS, Angel Du$t, Basement and more! We've updated the Spotify playlist with 30 new songs. A LOT of new bands with new tunes! 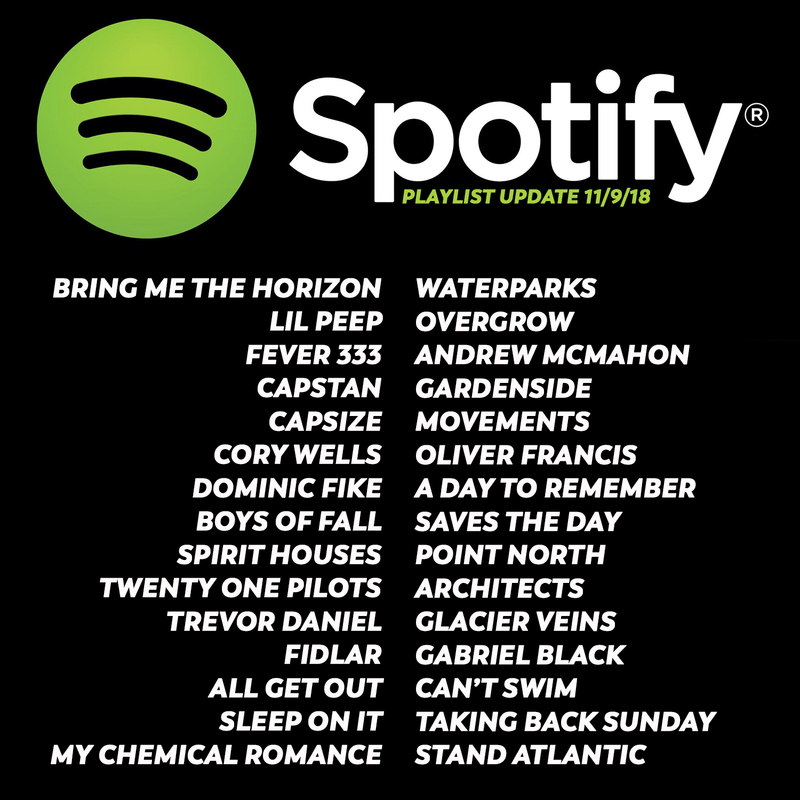 Songs from Bring Me The Horizon, Lil Peep, FEVER 333, Capstan, Capsize, Cory Wells, Andrew McMahon, Movements, Waterparks and more! We've updated the Spotify playlist with 30 new songs. A LOT of new bands with new tunes! Songs from Basement, Grandson ft AWOLNATION, Sleep On It, Fall Out Boy, Joyce Manor, nothing, nowhere, The Smashing Pumpkins, The Front Bottoms, Twenty One Pilots, Against The Current, Half Alive and more! 11/22 BLACK FRIDAY SALE IS ON NOW!!! !